A warm greeting from all of the Jakarta Players. As part of our 50th Year Anniversary, We am happy to invite you to our March 2018 Community Night. Community nights are informal events to gather, have fun and meet others interested in theater. It’s also a great opportunity to learn more about the Jakarta Players and, for those interested, how to get involved. Not a thespian? Not a problem. This is a social event where drinking, eating and getting to know each other is the top priority. The theme for this Community Night is “Open Mic” so there will be ample opportunity for those interested to get up on stage. 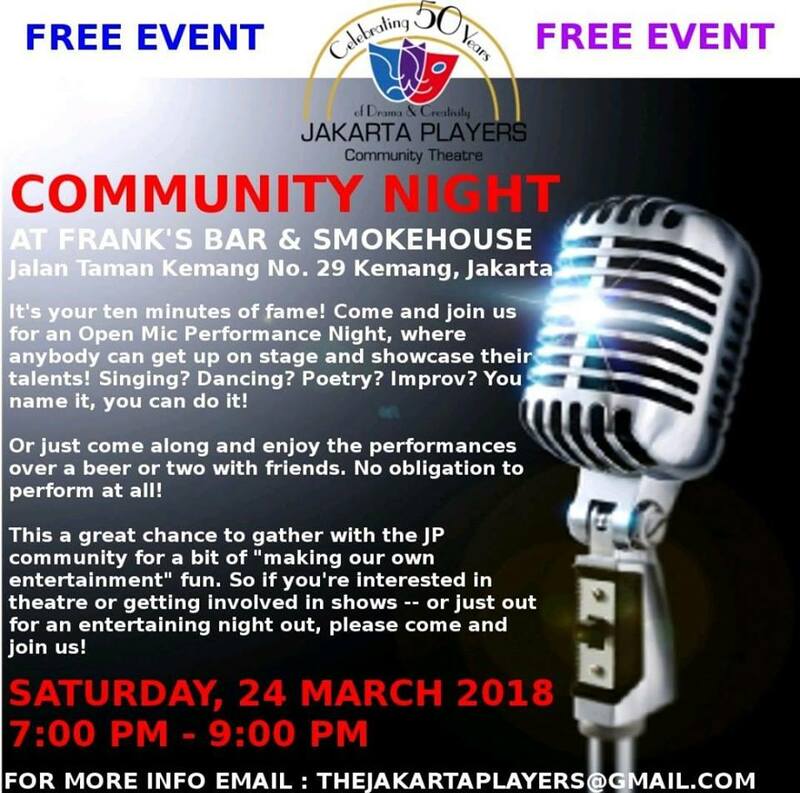 Come join us on Saturday, 24 March from 7:00 PM – 9:00 PM at Frank's Bar & Smokehouse.